An eminent expert in advance manufacturing and supply chain development, Dr. Ashan Amarasinghe will be delivering an eye-opening discourse at the Chartered Institute of Logistics & Transport (CILT) ‘International Conference 2018’ to be held on 19 September at the Balmoral Hall of the Kingsbury Hotel, Colombo. The theme for the conference is ‘Staying Relevant in a Digitally Connected Future’. This is the annual landmark event for the logistics and transport industry that will feature a power-packed line-up of distinguished guest speakers and panel of industry experts who will dissect the current disruptive trends and share their views on how to remain relevant in a rapidly changing industry with a digital dominant future. 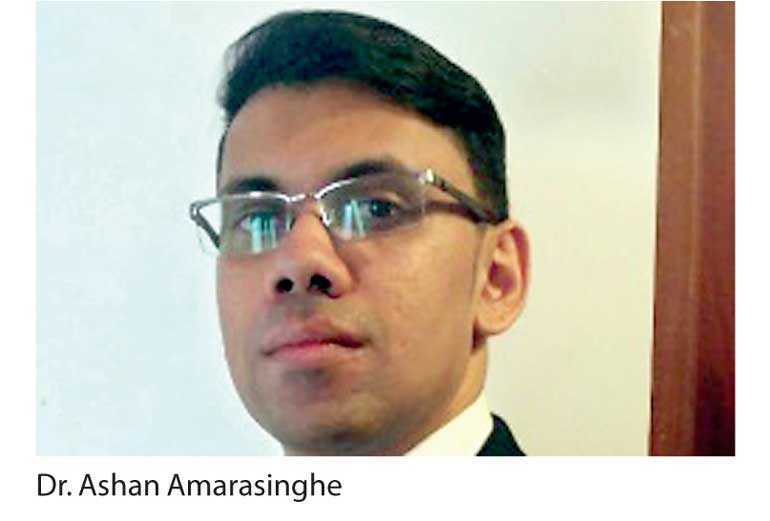 Dr. Amarasinghe is a qualified Chartered Engineer and has obtained his PhD in Advanced Manufacturing from University of Sheffield. After finishing his degree in Aerospace Engineering at University of Manchester, he has received his initial training in advanced manufacturing from The Boeing Company at the first High Value Manufacturing Catapult, the AMRC with Boeing, in Sheffield, UK. Subsequently, he has amassed experience by working at several corporates including Cummins Inc., Rolls-Royce Plc, MAS Holdings Ltd. and Assetline Holdings Ltd.
Dr. Amarasinghe has also been working as a freelancing consultant for Capability Acquisition in Sri Lanka. He offers a diverse knowledge span in product design engineering, robotics and process automation, advanced manufacturing and advanced supply chain development. Currently, he serves as the Chief Executive Officer of the Centre of Excellence for Robotic Applications, Sri Lanka. The Chartered Institute of Logistics and Transport (CILT) is a leading global professional body associated with the logistics and transport industry. The Institute holds unparalleled international recognition and works towards achieving its objectives of promoting and encouraging the art and science of logistics and transport through its membership and its educational qualifications. With a global membership of over 33,000 from 32 countries across the globe, CILT provides a professional identity to those in the ever expanding logistics and transport sector. It is a strong, active and a unified professional association that is able to speak with authority on strategic issues affecting businesses and people in the industry and support their careers.